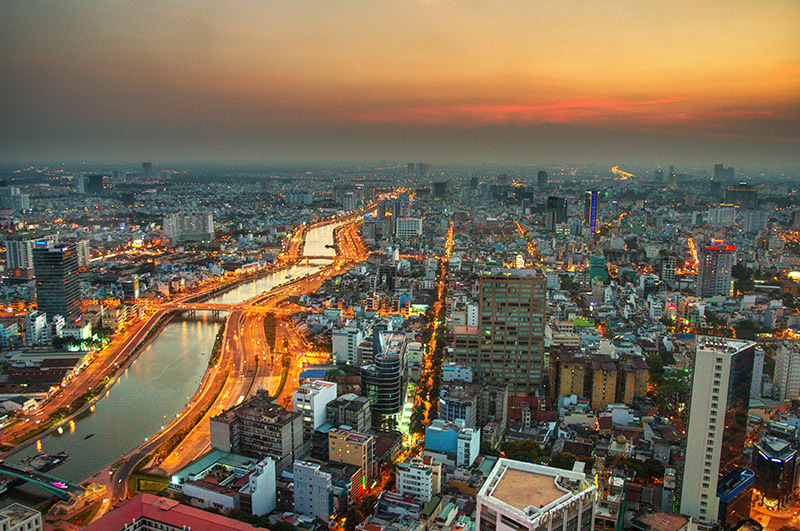 We started our 4-week-journey through Vietnam in the North in the capital Hanoi. From there we traveled southwards - the further we got south the warmer it got - both the weather and the people. It took us some time to discover the Vietnam we had imagined but as soon as we got off the beaten tourist tracks and to the friendlier people in the south we discovered the fascinating, beautiful country we had expected. Hanoi is a vivid, hectic city with approximately five million scooters - at least it felt like that ;-) We spent 3 days in the city: wandered around, went to the somehow weird communistic Ho Chi Minh Museum, successfully zig-zagged around all the scooters when crossing the street and last but not least met some couchsurfers with whom we spent a wonderful evening and got to know some aspects from the daily life from a local. 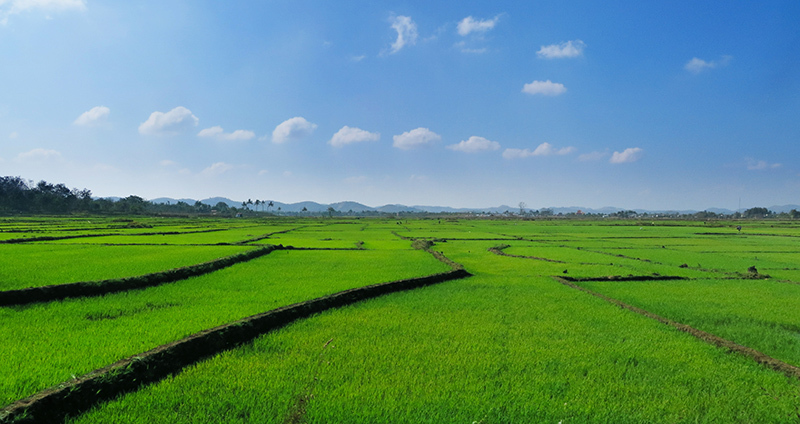 As most of you know we prefer nature over cities so after 3 days in Hanoi we looked forward to go to the countryside. Our first destination was the beautiful Halong Bay - one of New Seven Natural Wonders of the world. 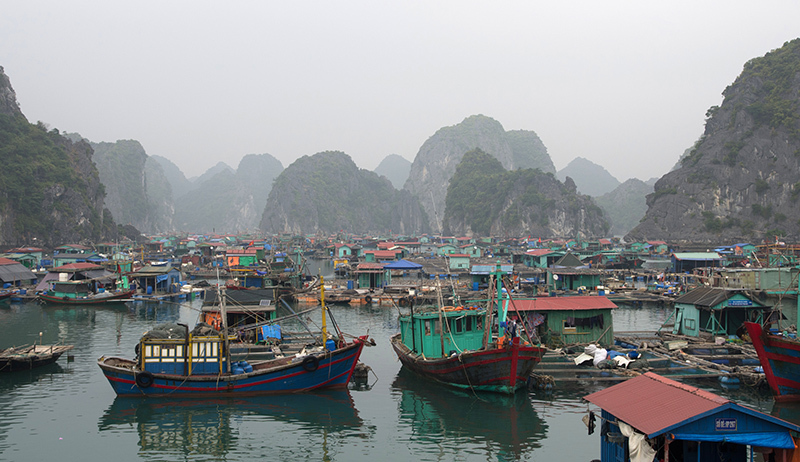 Most tourists do a two or three day trip to the Halong Bay from Hanoi. We chose the less touristic approach and went to the rather calm island of Cat Ba first and looked for a tour around the bay there. We decided to do a two day tour with one night on the boat in a cabin. With us on the boat were 5 other tourists who turned out to be the best company we could have wished for - we had such a wonderful time together with lots of laughing, card playing and wonderful conversations. During our tour we saw floating fishing villages (the people living there spend almost their entire life on the water), the wonderful limestone karst formations, explored the bays by Kayak (including going from one lagoon to another through tunnels), ate amazing fresh food on the boat (our chef bought the fish fresh for the day from a local fisherman) and had a wonderful time with the rest of the group. The personal highlight on the junk was that we saw bioluminescence in the night (here is a link to give you an idea what Bioluminescence approximately looks like). One of the crew members stirred the water with the stick and then the water began to glow in a green-blueish colour. Edgar then jumped into the water and it felt like swimming with millions of glowworms - it was glowing intensely around him. One of the many lifetime-memories we have from our trip. Hue was the imperial capital of the Nguyen Dynasty between 1802 and 1945 and as a result the city has impressive historical tombs and buildings. We stayed there for two nights and visited the imperial city and the impressive tomb of former emperor Khải Định. Like most of the tourists we benefited from the both excellent and ridiculously cheap tailors and got 3 custom-tailored hiking pants (with zips to take off the legs) for 13 Euros per piece. 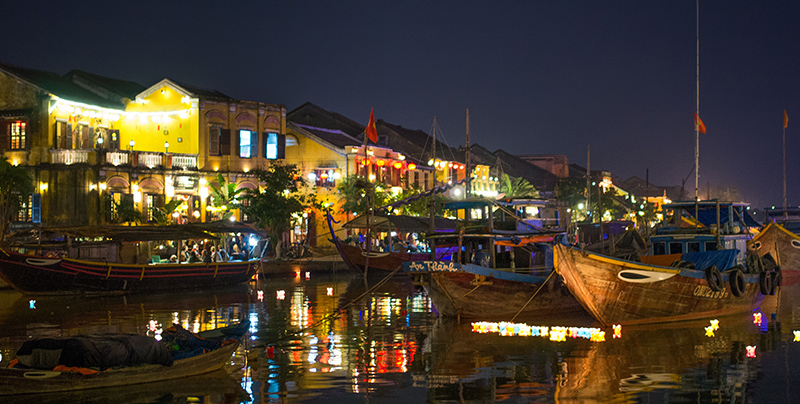 Hoi An is beautiful at daytime. But at nighttime when thousands of lights and lanterns are lit in the town and on the river it is even prettier. Our next stop was Nha Trang which you could also call little Russia ;-) There were many Russian tourists and even the menu of the restaurant was in Russian (luckily also in English). Besides a nice beach with huge waves there was nothing special to see in Nha Trang. We stayed there for some days to relax and recharge our batteries before we took a bus to Da Lat. Da Lat lies in the central highland of Vietnam at 1500m altitude. It only has two seasons - dry and wet. We were there during the dry season and during the day it was wonderfully sunny with pleasant temperatures (24°C) and at night it got rather cold. We stayed there for some days and explored the city and the area around it. Then we decided to blow our budget and booked a 3 day tour with the Da Lat Easy riders. 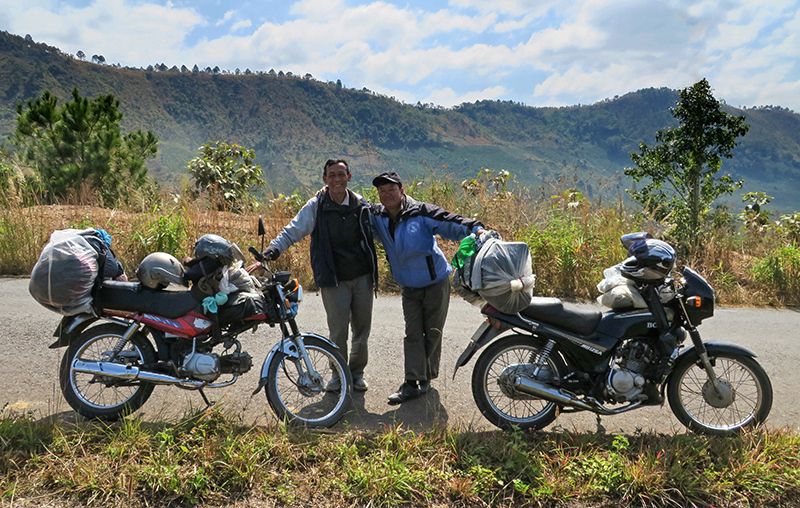 For 70 US $ per day per person they drive you around the central highland on their motorbikes. Looking back booking this tour was the best decision we did! It was a wonderful experience to be off the beaten tourist tracks and get to see the the countryside with/through the eyes of a local. Our two drivers showed us many farmer families and how they produce and plant countless things. To name a few: coffee planting, silk production (from the silk worm to the final silk fabric), how rice paper and rice wine is made, making baskets out of bamboo, how they harvest liquid from gum trees to produce tires and rubber and last but not least all the fruits and plants they grow. and on the back of the motorbike we enjoyed driving through beautiful landscapes with green rice fields and up and down windy mountain passes. Because so few tourists/foreigners go to the central highland we were often the tourist attraction ourselves!! On the road we received endless smiles, waves and joyful "hello" screams from the children and whenever we stopped to eat at a local street restaurant there was at least one family curiously looking at us. After 3 days with Mr. Hung and Mr. Tai it was time to say good-bye to them and we hopped on a bus to Ho Chi Minh City or as 99% of the vietnamese people still call it: Saigon. We visited Saigon during Tet. Tet is the new year in the moon calendar and the most important holiday in Vietnam. During Tet everybody goes home to their family for a week or two. As many Vietnamese work separated from the family in one of the big cities one week before Tet half the country starts traveling home. As a result Saigon was very empty when we were there (over 80% of the stores were closed) and at the same time it was very festive. One mayor street is transformed into a pedestrian area and decorated with thousands of flowers and some horse statues - 2014 is the year of the horse. It was a joy to watch the (wealthy) Saigon people walk through the flower street dressed up in their finest clothes and posing for photos at least every 10 meters. although traffic in Vietnam might look chaotic and dangerous to foreigners it really is not. If you just go with the flow it is really not scary at all - even with big intersections with scooters coming from everywhere. we really wanted to take the train in Vietnam but because of Tet almost everything was booked out. And the seats that were still available were at least double the price of a bus ticket. although Vietnam fought the brutal American War (naturally they don't call it Vietnam war as they were invaded by the USA) we have the feeling that today they have no resentment against the USA.